That being said, the Nexus 5X started getting its security update for March last week. Now, as part of this update, the Nexus 5X got a number of general performance improvements as well, and interesting enough, it also includes a cool color temperature toggle as well. What is this exactly? Well, it’s a toggle within the ‘Developer Options’ menu which basically forces the display to use cooler colors. This wouldn’t be all that important if some (early batch). Nexus 5X devices didn’t have the ‘yellow screen’ issue which a number of users have been complaining about. 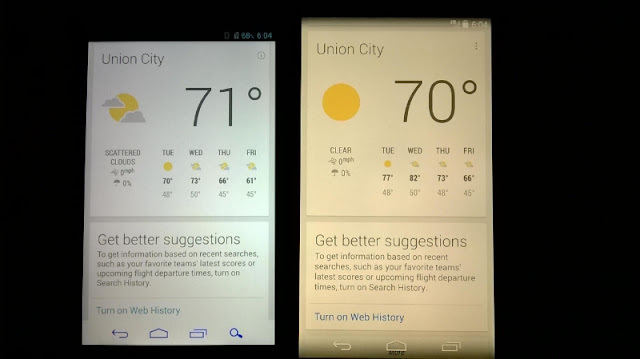 The display simply looks yellowish, and this toggle seems to fix that according to the source. Now, in order to access this toggle, you’ll need to enable ‘Developer Options’, if you haven’t already. All you need to do is locate your software build number, tap it a number of times to activate developer option, then go to Settings -> Developer Options, and toggle this switch. Keep in mind that you need to have an MHC19J not MMB29V software build in order to have access to the toggle. Now, this isn’t the first time we’re seeing such a toggle, Android N Developer Preview also contains that switch, which suggests that the final version of Android N might contain it as well. We’re still not sure though, it wouldn’t be the first time for Google to release an option within the Developer Preview build, and then remove it for the final version of the software. That is more or less it, if you own a Nexus 5X, chances are you’ve already received this update, if not, you will soon.